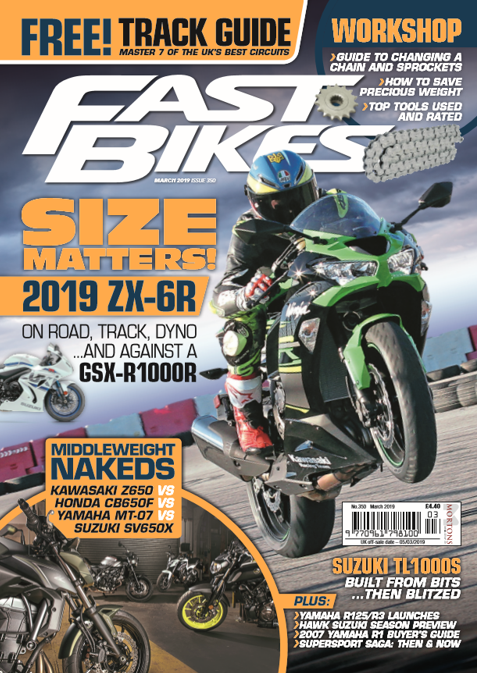 You don’t want to miss this issue, in addition to a packed issue of awesome content, we’re giving away a free Fast Bikes Calendar, so that you can keep track of what day it is for all of 2010. It’s not a collection of crappy old race shots or pit girls either – this is pukka, and all about the metal. Honda’s long-awaited V4 finally makes its debut. The motor’s great, but is the rest of it up to the battle?